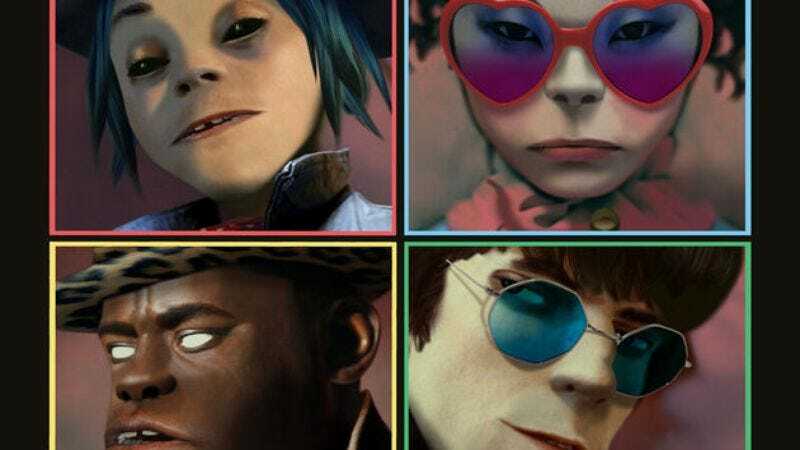 Gorillaz seem to be acknowledging just how long their absence was; after releasing their fifth studio album, Humanz, following a six-year lapse, the band is making sure the box set is chock-full of extras for patient fans. Consequence Of Sound found the Amazon listing for the super-deluxe vinyl box set, which drops August 25. The uber-fancy set features “14 individual pieces of vinyl 12-inch colored vinyl.” Nestled among those multi-colored treasures are 14 unreleased tracks—culled from the treasure trove of Gorillaz music Damon Albarn’s previously hinted at—including collaborations with Little Simz, Faia Younan, Azekel, Sidiki Diabate, and more. The box set also includes a hardback book of Gorillaz artwork, which is great and all, but preorders are currently sold out. It retails at about $360 U.S. dollars, in case you want to start saving now.